Michelle Obama looks radiant and nothing short of beautiful in her emerald green tuxedo suit which was designed by a Norwegian designer. She wore it to promote her book, Becoming, with Phoebe Robinson. 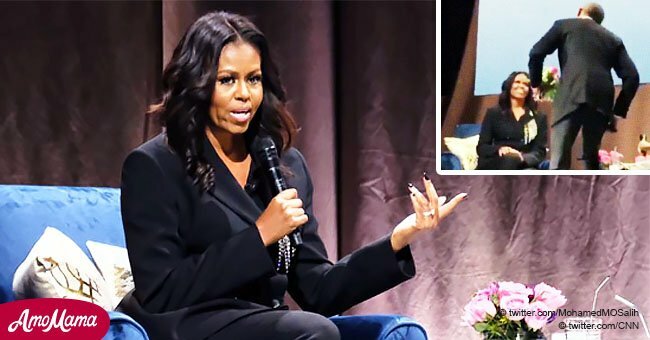 The former first lady, Michelle Obama, recently promoted and discussed her memoir, “Becoming,” with Phoebe Robinson. She sat down in an interview for her book tour in Europe was held in Oslo Spektrum last Thursday. Obama wore an emerald green tuxedo suit with crystal embellishments, leaving the crowd in awe. Her $6,000 power suit was by Peter Dundas, a Norwegian designer, who was proud and thankful for Obama’s outfit. 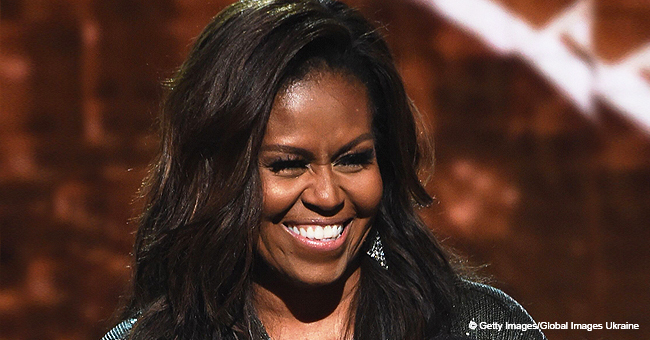 “So excited seeing Michelle Obama in DUNDAS tonight. Thank you for choosing Oslo, my hometown to wear our custom emerald panther tuxedo suit and thank you for choosing DUNDAS!! Made my day. Hey made my week! !” he wrote on an Instagram post. Obama was careful in choosing her outfits while in Europe, selecting those which are made by local designers to show appreciation during her visit. Her suits in Copenhagen and Stockholm all had similar crystal patterns, allowing the author to shine even more. Obama made sure to document and share her interview with Robinson through Instagram stories. “Oh my gosh, you guys. 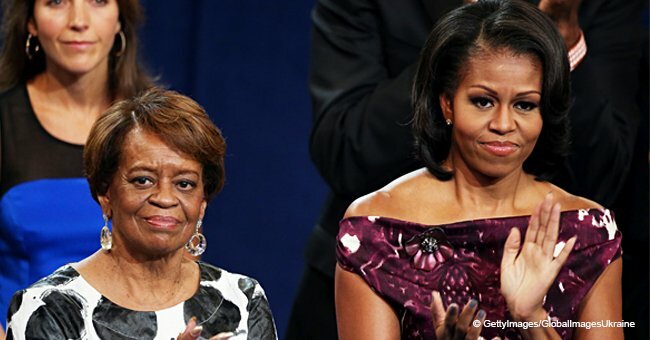 I am so excited to meet with this queen Michelle Obama,” said Robinson in the video. 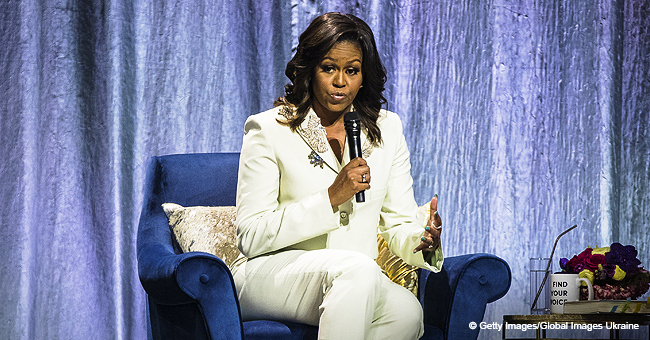 “We are going to have fun, talk about all the gossip with her and Barack,” she joked. “Put yourself in someone else’s place and don’t be afraid of your neighbor,” she said. 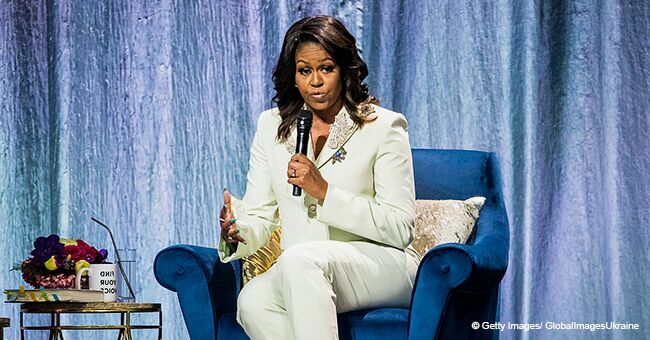 The former first lady also encouraged people to be “more skeptical about social media” and urged them to speak to each other “face to face” during her talk in London’s O2 Arena on Sunday. “That’s what I would encourage people to do. Don’t read about your neighbors on Twitter, because somebody can talk into your ear about the person right next door to you and they can feed you lies and misperceptions,” she said. “We need to get to know each other and not have our actions filtered by some third party that we don’t know what their agenda is. We don’t even know who is doing the tweeting. We have got to get off the phone and start talking to each other face to face. We can’t rely solely on this little intermediary to tell us about the world. We have to be a lot more skeptical about social media and the internet, which means we have to do more work interactive with one another,” she continued. Obama also shared stories about her daughters, Sasha and Maila, during their White House days. Her book was released towards the end of 2018 and sold over 1.4 million copied on its first week. The book had the most significant first-week sales in 2018.